More animals from this past weekend. 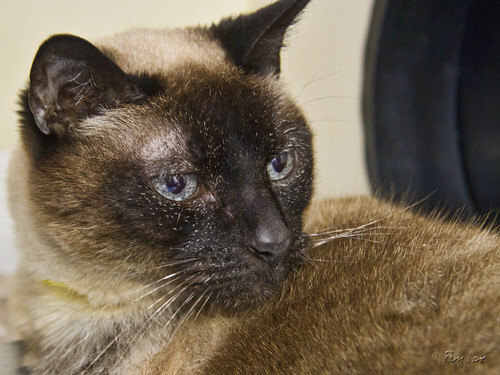 Meet Azura (above), a 3-year-old Siamese cat. She loves a good belly rub. And Saber (right), a 1-year-old cat who is full of energy and will keep you entertained for hours! Saturday I attended an orientation for volunteers for the FoundAnimals organization. FoundAnimals partners with local animal shelters to help reduce the number of shelter animals that are put to sleep. 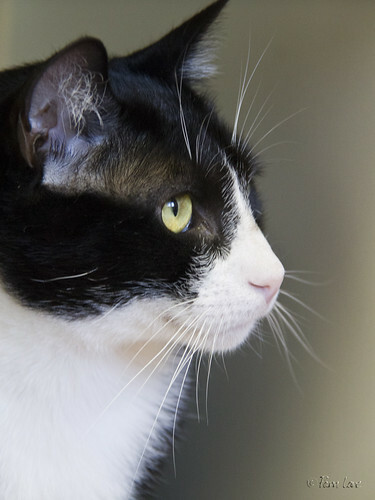 At SEAACA (the South East Area Animal Control Authority) in Downey, FoundAnimals runs the Cat Adoption Center, affectionately known as the Mod Pawd. Volunteers are needed to clean and to play (and maybe to fall in love and take a new friend home with them). If you're looking for that purrfect companion, check out the LA Adopt-A-Thon on June 18. Click here for information and locations near you.